Once you go Black Series, something vaguely offensive here! Hasbro will be slotting some redeco and reissue figures in, the first of which should be out in a few months. They're carded instead of boxed, and some have enhanced facial paint applications. 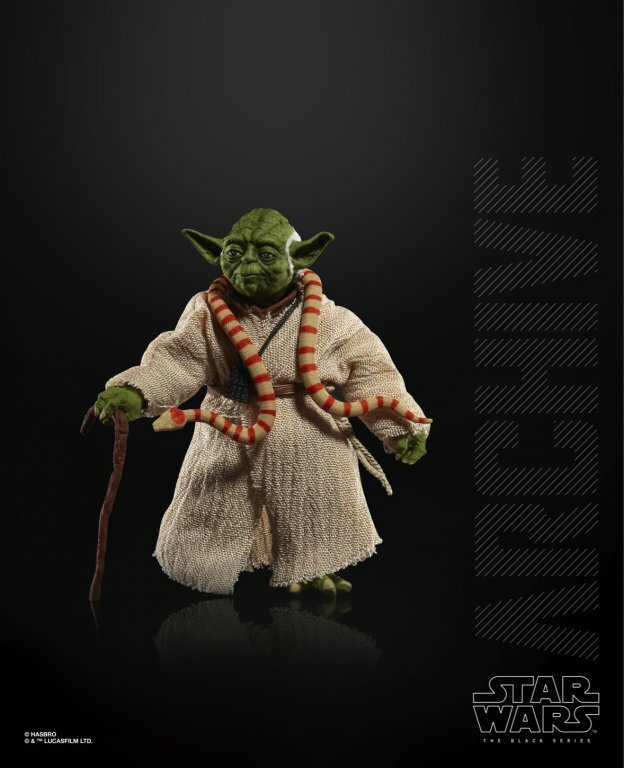 You've already seen Boba Fett, X-Wing Luke, Bossk, and IG-88, but now you can see Yoda.His face has more printed detail, but other than that he looks a lot like the previous release. His lightsaber isn't shown in the photograph, so he generally just looks like his The Empire Strikes Back self.